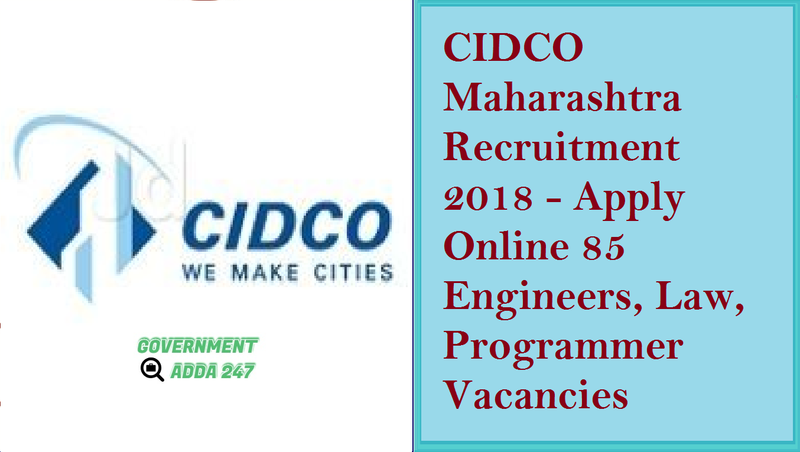 CIDCO Recruitment, CIDCO Released the notification for the recruitment of various posts in the CIDCO Department and invites applications from the eligible and the interested candidates. 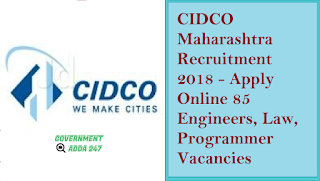 CIDCO Recruiting for the posts of Assistant Law Officer, Assistant Executive Engineer Jobs (Civil), Executive Engineer (Telecom), Assistant Engineer (Civil), Programmer. The total number of vacancies for recruitment is 85 vacancies. Eligible and the interested candidates can apply of the various posts in the department. The last date to submit an online application is 16 November 2018 and the applications start from 25 October 2018. To know more about the CIDCO Recruitment check the detailed notification and the information given below. Click here for more Maharashtra jobs.